At a time when extreme weather incidents are causing billions in damages, businesses, governments and the public need the right information to make the right decisions. The bad news is that nature of superstorms like Hurricane Sandy has a human fingerprint. The good news is that if man is harming the climate, man can also do something about it. Dr. John Abraham is a thermal sciences researcher and professor at the University of St. Thomas, in Minnesota who has straddled many worlds in his quest for answers to climate change, from working with the US defense industry to pro-bono work creating low-cost energy solutions to Africa’s remote areas. James Stafford: It is hard to imagine that our industrialization is NOT contributing to climate change in some significant way; still, this message meets with myriad roadblocks when attempting to portray it to a non-scientific public. And politics has hijacked the debate to an extent that has polarized the public. What should the message be, and how should it be delivered? Is the polarization irreversible? Now, you are right, what should be a scientific issue has become a political issue. There are a number of reasons for that. It is clear that a lot of money is spent by organizations that want to ensure we do not invest in clean renewable energy or conservation. But that isn’t the entire story. A major indicator of how people feel about climate science is how they view collective action. Persons who think working together on a shared problem (like energy and climate) can lead to exciting and profitable solutions are much more likely to accept the science. People who reject collective action or government intervention are much less likely to accept the science. The real tragedy is that many people in this latter category could develop the technologies to lead us into the energy future; instead they have held our country back. We are now at a technological disadvantage and every year we delay taking action increases the future costs to ourselves and our children. James Stafford: Earlier this month, we conducted an interview with former TV meteorologist Anthony Watts, whose thoughts on climate change have been very controversial. Watts describes himself as a "pragmatic skeptic" on climate change. In your opinion, why is this "pragmatic skepticism" so controversial and how do you think it contributes to the dynamics of the climate change debate? John Abraham: The fact is that Mr. Watts is not a pragmatic sceptic. Real scientists are sceptical by nature. We don’t believe what our colleagues tell us until we verify it for ourselves. Scientists honestly develop views of how the world works and they test those views by experimentation. As a result of approximately 150 years of climate science, the vast majority of scientists are convinced that humans are a major cause of climate change. Mr. Watts, on the other hand, dismisses evidence that is counter to his viewpoint. That is not scepticism--that is plain denial. First, scientists have never predicted a linear increase in temperature--we are not that naive. Things are much more complex than that. • We are causing the ocean chemistry (pH) to change--that isn’t warming or cooling. • We are causing some areas to become wetter and others to become drier--again, not warming. • We are increasing humidity in the atmosphere. • We are cooling the upper part of the atmosphere (the stratosphere). • We are making weather swings more severe. • We are losing polar ice at a rapid rate. • Warmer oceans make hurricanes more severe here and here. In these areas, and others, the changes are not just “warming” but the far more complex reality: the climate is changing. Mr. Watts and others who deny that humans are a major cause of climate change have helped to create an environment where scientists are attacked mercilessly for their science. I have been attacked numerous times on Mr. Watts’s website, as have my colleagues. How can we encourage young scientists to go into this field when they are promised personal attacks and vilification? Fortunately, young bright scientists go into this field anyway and I am excited about the new crop of young minds that are rising through the ranks. James Stafford: Watts spends a great deal of time discussing the "heat sink" effect in urban areas. Can you offer us an alternative view on what this means in terms of climate change? John Abraham: This issue has been the calling card of Mr. Watts. Unfortunately, he did not disclose much in his comments. • He didn’t tell you that he actually published a paper on this subject a few years ago where he concluded that temperature sensor siting had no impact on temperature trends. • He didn’t tell you that other groups have looked at this issue and made similar conclusions. • He didn’t tell you that recently a Koch-funded study looked at this issue and concluded that the real climate scientists were right: locations of temperature sensors didn’t matter. • He didn’t tell you that he initially supported the Koch-funded study until the results were made known. • He didn’t tell you that measurements of the atmosphere made by weather balloons and satellites agree the Earth is warming. • He didn’t tell you that measurements of the ocean show a significant and long-term increase in temperature. • He didn’t tell you that the vast majority of glaciers are losing ice, as are Greenland and Antarctica. • Finally, he didn’t tell you that in the last 30 years, approximately 75% of the Arctic ice which remains at the end of the melting season has disappeared. James Stafford: Would you describe your own view as “pragmatic”? John Abraham: I work mainly in the private sector, and I am strongly motivated by the belief that while we are causing climate change, we can do meaningful things right now to slow it down. I am also truly pragmatic. One outcome of being pragmatic is that I search for efficient and low-cost solutions to our problems. If someone were to show me that adaptation would be cheaper than mitigation, I would support adaptation. If someone were to show me that the “solutions” to climate change are more expensive than just ignoring it, I would opt for ignoring it. I have, however, come to a few conclusions on this topic. It is clear that climate change is happening, humans are a main cause, and the consequences will be expensive. It is also clear that the public is not well informed on this topic. When we are not well informed, we are likely to make poor decisions. It is also clear to me that many of the solutions to climate change involve wiser use of our energy supplies and, as a result, we will save money. Much of my work is pro bono. I have travelled to Africa multiple times, bringing low cost energy to remote locations at my own expense. I do not want to be accused of using energy/environmental issues to my own benefit. A fact that would surprise my detractors is that I have also worked for many years for the defense industry. James Stafford: Is there any way to remove the “camp” element from the issue of climate change? How far do disastrous weather events—like Hurricane Sandy—go towards reshaping the climate change debate. Well, scientists studying this disagree with him. As the oceans warm, hurricanes become more severe. They have increased rainfall, more intense winds, and higher storm surges. We can even quantify some of the impacts. With respect to Sandy, the human impact was likely about 8-10 inches of the storm surge, about 15% of the precipitation, and the very warm oceans (partly human caused) off the Eastern Coast made Sandy larger and travel further north than it otherwise would have. Finally, it is likely that Sandy took an unusual turn westward because of pressure zones caused by the loss of Arctic ice. So, were it not for humans, Sandy may never have hit the US at all! It isn’t just me saying this, it is experts in the field. There are many articles that clearly show human emissions are increasing extreme weather events. In your interview with Mr. Watts, he claimed that the IPCC reports no “trends at all” in severe weather. He must not have read the IPCC reports, which state otherwise. The next IPCC report, called the AR5 report was leaked to the public early, partially with the help of Mr. Watt’s own website. Nevertheless, he must not have read the report. But it isn’t only the IPCC report that discusses extreme weather, it is other scientific articles like this one, this one, or this one. There are many many other articles that clearly show human emissions are increasing extreme weather events. I look at the price tag of Sandy, and the price tag of the devastating drought of 2012, and the similar Texas/Oklahoma heat waves of 2011 and I ask two questions: First, are humans partly to blame for these expensive disasters (over $100 billion)? Second, if we are, is there something we should do about it? My answer to those two questions is yes. I believe we can solve this problem with today’s technology. I think we can choose to use energy more wisely and efficiently. I think we can expand clean energy generation and power much of our country from the farm fields of the Midwest, create jobs, improve national security, and diversify our energy portfolio. James Stafford: How is the issue of global warming, or climate change, being manipulated by the media in both directions? John Abraham: No one wants to damage the environment and persons in the media don’t want to report poorly. But many media people believe that their duty is to “show both sides equally” as if this were some debate about foreign policy or which soda tastes better. Climate science, as all climate scientists know, is complicated. It takes years of study to understand the interconnections within the climate. When faced with this complexity, it is much easier to just find two representatives of each side to tell their story. Unfortunately, this leads to public misunderstanding, and the belief there is more controversy or uncertainty than actually exists. Perhaps more important though is the ideology problem. Many people, Mr. Watts included, are committed to an ideology that precludes the ability to objectively view the science. As a result, they convey incorrect information to their readers who then are not able to make informed decisions. The business community is left with an information vacuum and there will be financial consequences because of this. The business community deserves better information than they are getting. They deserve to be armed with real facts so that they can make good decisions to protect their investments and their society. James Stafford: Ultimately, then, do we have the ability to accurately determine how much of global warming is attributed to man-made causes and how much is evolutionary climate change, so to speak? John Abraham: Well the first science on greenhouse gases was performed in the mid 1800s. This isn’t a “new” science. It is well tested. It isn’t just that the Earth is warming that convinces scientists. It is warming in the way scientists have anticipated. It has the fingerprints of humans. It doesn’t have the fingerprints of natural causes like the sun or changes to the Earth’s orbit – indeed, scientists have ruled out the possibility that natural causes can explain what we are observing worldwide. These two factors, more than anything else, have convinced scientists that humans are mainly responsible. While that seems like bad news, there is a silver lining: it means we can take meaningful action to slow climate change. What would be more depressing, knowing that we are changing the climate but that we can do something about it or thinking the changes were natural and mistakenly thinking we were powerless? James Stafford: Are there any genuine environmental concerns about the Keystone XL pipeline? Are there genuine long-term climate concerns over this pipelines dirty tar sands content? John Abraham: In order to avoid the most serious and expensive consequences of climate change, we need to reduce carbon emissions. Expansion of Keystone is not consistent with that goal. The total amount of oil in the Alberta Tar sands is equivalent to six Saudi Arabia’s. Mr. Watts and others have claimed that the oil will be burned regardless but just because this statement is uttered doesn’t make it true. Approval of Keystone will increase production by about 35-40% and it will lock us into a long-term supply of the dirtiest of the dirty fossil fuels. Not only are Alberta tar sands dirtier than conventional oil, but their by-product (petroleum coke) is being used as a dirty replacement of coal. Rather than approve this pipeline, and further contribute to driving society over the climate cliff, we should invest in long-term clean renewable energy production right here in the United States. If we did this, we would receive the economic benefits and the world’s climate would improve at the same time. James Stafford: Will Keystone XL eventually be green-lighted? Do we really need it? John Abraham: We don’t know what the Administration will decide: my personal belief is that it will be approved and the Obama Administration will propose a quid pro quo approach to the environment--approving Keystone but enacting other policies to reduce emissions. The problem is that a quid pro quo doesn’t help the climate. It changes a fast burn to a slow simmer. From a political standpoint, if the Obama Administration, with John Kerry as Secretary of State, cannot say “no” to the dirtiest of the dirty fuels, it would show that we cannot say no to anything. I hope I am wrong about this. James Stafford: There is a lot of discussion right now about “Snowball Earth”—an event 635 million years ago in which Earth was covered by ice and now this was apparently reversed by an ‘ultra-high carbon dioxide atmosphere’. What can we learn from this and how can this contribute to the ongoing climate debate? John Abraham: We have learned that the Earth’s climate has shifted radically in the past for natural reasons. Indeed, we have a good understanding of these changes. These shifts have occurred over very long periods of time. Human society has developed very recently, in a remarkably stable climate, and our infrastructure is tailored to the present conditions. We need to be mindful of pushing the climate into one of its wild swings that would cause significant economic costs. Interestingly, the Earth recovered from “snowball” conditions by the same greenhouse gases we are concerned about now. It is a testament to the power of carbon dioxide. James Stafford: Is nuclear power dead? Should it be dead? There is much talk about the development of smaller, safer reactors. How far are we from developing and commercializing new nuclear technology? John Abraham: Perhaps the only thing Mr. Watts and I agree upon. Nuclear power can produce energy without reliance upon sometimes unreliable wind or sunshine. It can provide a low carbon alternative to coal. I think we should invest in the development of the next generation nuclear reactors that can play an important role in supplying a clean-energy portfolio. James Stafford: You have been involved in numerous alternative energy projects. Which alternative energy sector has the most potential over the next 5 years … over the next decade? John Abraham: I am particularly interested to see where microwind power goes. I have numerous articles on this topic here, here, and here for examples. This technology has the potential of supplying energy at the production site: to businesses, homes, telecommunication equipment, and other infrastructure. James Stafford: Did the US jump the gun on the ethanol mandate? There seems to be a consensus emerging that we weren’t quite ready for this on a number of levels. There are two bills in Congress attempting to either delay or reverse this mandate and the commercialization of E15. What do you predict the outcome of this will be? John Abraham: I wrote an important paper on this very topic in 2009. We looked at how viable corn ethanol is and compared it to other biofuel sources. We concluded that at best, corn-based ethanol is a bridge fuel that can help the development of the next generation of plant-based fuels which use less water and can be harvested on marginal lands. James Stafford: Is there any room for a merger of interests here between the fossil fuels industry and the alternative energy industry? John Abraham: When we can show that clean and renewable energy is the engine that will provide economic opportunity in the future, fossil fuel companies will, I hope, work to bring to market those technologies which not only produce energy, but create jobs and improve the climate. We aren’t there yet but there is always hope. Lets ignore all the falsehoods in the article and dwell upon this – if all the people who would condemn Mr Watts for his reasoned views had put a fraction of the effort into reducing energy use that he has, you’d be able to spot the effects on the US energy consumption figure. He’s got an electric car, solar panels and low energy lighting and probably loads more. When invited to meetings he didn’t fly, he would drive there so that he could audit the temperature stations en route. Perhaps those who would lecture the rest of us on cutting CO2 should first demonstrate that they’re at least as responsible as Mr Watts. As a minimum, all commentators should give their CO2 footprint and no disguising the numbers by allowing yourself carbon offsets. Time to put your carbon where your mouth is. If you go read Mr Watts’ site he has never told anyone not to cut their energy use. He doesn’t say CO2 has no effect. He just points out the flaws in the arguments of people like Dr Abraham. To them, every weather event is a sign that the hand of CO2 is everywhere. Ask yourself, when was the last time a weather catastrophe happened and the headline read ‘CO2 not to blame this time’? If every big event is now man made, where did the natural disasters go? They are so desperate for proof of man made climate change they resort to playing on the misery of weather victims. Where are the impressive graphs proving what they say? Oh they can show higher counts of smaller hurricanes but they carefully omit the reason is better monitoring and not an actual change in the climate. They talk about rising costs but never say that it’s down to increasing population and prosperity. Figures for the bigger events stay the same, there is no increase. How inconvenient. You don’t have to believe a word Mr Watts writes. Just pay up, reduce your lifestyle and look happy. Of course if you quite like how you live, you might want to check if the proof of catastrophic climate change stands up to scrutiny. Make your own decision on who are the honest brokers by reading and questioning both sides of the debate. Does Mr. Abraham have an opinion on the need for some type of geoengineering, on an emergency basis, to counter the disturbing trend of methane emissions and rapid warming in the Arctic region? There are some evidently competent scientists, like Peter Wadhams, who seem insistent on this point. As Mr. Abraham stated we are using approximately "150 years of climate science" to support climate change. That is only 7.5% of the 2013 years since Christ was here. That is only 3% of the years since recorded history began. And it is only .000003% of the years since the earth was formed some 1.4 billion years ago. It seems to me that we are creating THEORIES on a very small amount of data in relation to the entire existance of the earth. According to science the changes in climate immulates a sine wave with the peak to peak or valley to valley being about 15,000 years. In that case our data represents about 1%. After the opening comment, I skipped the rest of the article because this guy is not believable. "Humans are causing climate change, we’ve know that for well over 100 years"
Really? I would like to see the research done 100 years ago that showed that Humans were causing climate change. I wonder how John Abraham would construct a necessary and sufficient falsifiable hypothesis statement for catastrophic anthropogenic global warming. At this point, the warmist apocalypse cult has a lot of hand waving, but never seem to start with the very *first* step of the scientific method. "Well, scientists studying this disagree with him. As the oceans warm, hurricanes become more severe. They have increased rainfall, more intense winds, and higher storm surges." Really? Well why do you not ask an expert "Chris Landsea" He says that it can not even be measured. So you are lying. John Abraham wants us to move in the right direction, but we need to move faster -- a lot faster. 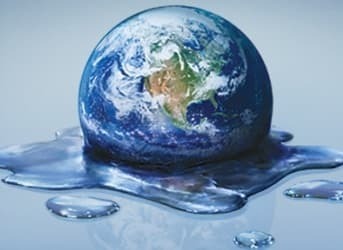 If the earth is to be saved from the ravages of climate change before a tipping point is passed and no recovery is possible, a quick reduction in carbon emissions is a global imperative. A near-term 20% cut in worldwide carbon emissions is an absolute necessity. It is time to stop arguing about the need to reduce our carbon footprint. LET'S START DOING IT! In 2011, a total of 33.4 billion tons of CO2 were emitted worldwide. A 20% reduction would eliminate roughly 6.5 billion tons annually. Here is the distribution of carbon emissions by nation in 2011: China (29.1%), United States (16.2%), India (5.9%), Russia (5.5%), Japan (3.7%), Germany (2.4%), South Korea (1.8%), Canada (1.7%), All Other Nations (30.5%), International Transport (3.1%). We in America can't get it done by ourselves. We are only 16% of the world's CO2 emissions, and so other nations must do their part. But America can become the catalyst for worldwide action against carbon emissions through setting a shining example for other nations to follow, and through applying significant diplomatic and economic pressures against those nations who refuse to follow our lead. -> Declaration of a Carbon Pollution Emergency which draws upon the authorities previously granted to the President under national security legislation, plus the authorities granted by other existing Executive Orders. -> Declaration of a target goal of a 20% reduction in US carbon emissions from all US sources by 2016, and a target goal of 20% in total carbon emissions from all sources worldwide by 2020, starting from the 2011 emissions baseline. -> Imposition of stiff carbon pollution fines levied by the EPA against all US producers and importers of carbon fuels, at a rate of 100% of the market value of those fuels. -> Imposition of a total ban on the export of raw or refined carbon fuels from US producers, including exports of oil, coal, and natural gas. -> Initiation of a significant diplomatic engagement effort with other carbon producing and consuming nations with the objective of convincing those nations of our serious commitment to pursuing the Global War on Carbonism, with the goal of achieving international consensus by the end of 2014 for implementing a 20% worldwide total reduction by 2020. -> Imposition of trade sanctions, up to and including a complete trade embargo, against any nation which fails by the end of 2014 to commit to a 20% reduction in their carbon emissions by 2020. If these measures fail to produce a 20% reduction in worldwide carbon emissions by 2020, then the United States must consider imposing a general quarantine against international trafficking in excess carbon fuels, using the resources of the US Navy to interdict illegal shipments of oil, coal, natural gas, and refined carbon fuels on the high seas. PRESIDENT OBAMA, YOU ARE THE LAST, BEST HOPE FOR SAVING PLANET EARTH! THE WORLD IS COUNTING ON YOU TO GET THE JOB DONE! 20PercentBy2020: Ha ha, your post made me split my sides laughing." PRESIDENT OBAMA, YOU ARE THE LAST, BEST HOPE FOR SAVING PLANET EARTH! THE WORLD IS COUNTING ON YOU TO GET THE JOB DONE!" Gee mate what warmist drugs are you on? You already know that there has been NO meaningful statistical warming for 17 years, Co2 does not drive temperature, your silly models are WRONG. "Imposition of stiff carbon pollution fines levied by the EPA against all US producers and importers of carbon fuels, at a rate of 100% of the market value of those fuels. ""Imposition of a total ban on the export of raw or refined carbon fuels from US producers, including exports of oil, coal, and natural gas." If if your crazy ideas were implemented it would make not one squat of difference. The outcome would be an economic disaster. But that is your real goal, is it not? Stop breathing as you are polluting the planet with every breath, and please turn off your coal/gas powered computer lights and heat and go and live in a cave a burn dung for fuel. TinyCO2 writes: "Ask yourself, when was the last time a weather catastrophe happened and the headline read ‘CO2 not to blame this time’? " When was the last time our atmosphere had the CO2 levels and atmospheric moisture levels of fifty years ago? What about the observed cascading consequences of melting Arctic ice cap and exposing of the Arctic Ocean and how that has impacted convection currents and our jet stream? We live within a global heat distribution engine, to think we can isolate ourselves from that is silly. TinyCO2 writes: "Where are the impressive graphs proving what they say?" You just gotta poke around! TinyCO2 writes: "Oh they can show higher counts of smaller hurricanes but they carefully omit the reason is better monitoring and not an actual change in the climate." Is that supposed to be a higher count of more intense hurricanes? TinyCO2 writes: "They talk about rising costs but never say that it’s down to increasing population and prosperity. Figures for the bigger events stay the same, there is no increase. How inconvenient." What about the damage done to New Orleans and New Jersey. What about the losses of an event like that ever two, three years. What the barriers that WILL continue getting eaten away at. It won't take too many inches to set up their total irradiation. What about the agriculture challenges being faced that we already know will get much worse than better? What about the cascading consequences that disappearing mountain glaciers will bring? You act as though ignoring all that is happening before our eyes and pretending nothing will change is enough? Driving at high speed staring at the rear view mirror is a recipe for a fatality. Watts shouldn't be taken seriously -- for example, virtually *all* of his claims about the surface temperature record can be debunked pretty easily. Claims about UHI contaminating warming? Easily debunked. Claims that "data adjustments" are responsible for the global-warming trend? Easily shot down. Claims that temperature record has been compromised by "station dropout"? Easily disproved. To that end, there's a free software/data package available that will allow you to shoot down all of the above Watts claims with just a series of mouse-clicks. Then follow the easy "quickstart" instructions provided (right-hand side of the download panel). Unfortunately, the package is a big download at about 1GB, but it includes *all* of the software and raw/adjusted temperature data that you need, all bundled and preconfigured in a complete "virtual machine" file that basically "runs out of the box". (It runs in its own "sandboxed" Linux virtual machine (VM) on your Windows or Mac Laptop/PC). Once you've launched it per the easy instructions provided, you will be able to "roll your own" global temperature estimates (and debunk Watts' major claims about global temperatures) with just a simple series of mouse-clicks. Compare urban vs. rural results? Super easy. Compare raw vs. adjusted data results? Again, super easy. In fact, you will soon find that you can confirm the NASA global-warming results with raw data taken from just a *few dozen* stations scattered around the world. But don't take my word for it -- download the package at http://tinyurl.com/NASA-HANSEN4 and try it out yourselves. It's free and easy (the toughest part is waiting for it to download). "'Humans are causing climate change, we’ve know that for well over 100 years.' Really? I would like to see the research done 100 years ago that showed that Humans were causing climate change." Chuck Welte: If you don't understand something look it up. Tyndall's 1861 landmark paper on CO2. "THE researches on glaciers which I have had the honour of submitting from time to time to the notice of the Royal Society, directed my attention in a special manner to the observations and speculations of DE SAUSSURE,FOURIER, M. POUILLET, and Mr. HOPKINS, on the transmission of solar and terrestrial heat through the earth's atmosphere. This gave practical effect to a desire which I had previously entertained to make the mutual action of radiant heat and gases of all kinds the subject of an experimental inquiry." Mr TinyCO2 you make no sense. Yes, my CO2 foot print is small but its not a relevant point. How about I tell you that I work in the oil industry and I have patents used to prevent pipelines and refineries from exploding. Hmm? The fact is that I cannot exist in our society without using oil. Everyone knows this. It doesn't mean I can't talk about it. It's interesting that Abraham mentions the IPCC but does not link to their very recent report on extreme events (SREX) which says "There is low confidence in any observed long-term (i.e., 40 years or more) increases in tropical cyclone activity"
This may help in determining who is telling the truth and who is not. Jon Frodsham, no one should expect that saving the earth from the ravages of climate disruption will not be without sacrifice. President Obama is in a truly unique position to demonstrate the kind of moral leadership and bold action needed to do what is necessary to save the planet from man-made climate change. If President Obama will take the kind of bold action on climate change we know he is capable of, then he will be judged by history as being among the greatest presidents America has ever produced, and among the greatest world leaders since Churchill, Roosevelt, and Ghandi. "Really? I would like to see the research done 100 years ago that showed that Humans were causing climate change." He's probably referring to Svante Arrhenius, who did the first calculations on climate sensitivity. In 1896, Arrhenius estimated that each doubling of CO2 concentrations would increase global temperatures by 5–6 °C. Not too far from modern estimates (2-4.5 °C). Since when is warmer actually bad? We know colder is definitely bad. For example, the French Revolution, was caused by cold weather causing wheat production to plummet. There is no evidence hurricanes are stronger, in fact they are weaker now. In general, higher per capita energy consumption is associated with longer healthier lives, the end of slavery, better transportation and other technology. Demonizing fossil fuel consumption is a method of gaining control over people, jeopardizing all of the benefits mentioned above, and more. John Abraham is not believable. "... the vast majority of scientists are convinced that humans are a major cause of climate change". Wrong. "... scientists have never predicted a linear increase in temperature..." What about James Hansen's prediction? If you are so worried about climate change, Mr John Abraham, why do you insist on ineffective wind power and solar as a solution? Why do you ignore the only proven CO2 free base-load technology which is nuclear energy? Particularly Gen IV and Thorium (LFTR) reactors? There has also been no warming (statistically proven) for the last sixteen years, and in any case we know that the Earth's temperature does vary naturally. There has been less hurricanes in the last fifteen years too, in opposition to the alarmist's predictions. Since you don't even mention the only technology that could assist the human race to progress,i.e Nuclear, I can only assume that your alarmism has an ulterior motive. Enough arguement, here is a simple and effective step. Replace all coal and oil fired electric power with nuclear power. Level the playing field and the free market will pay for the entire conversion. Result would be a reduction in human carbon dioxide output by about half with no net negative effect on the ecomomy or the environment. Then we could see if it actually made any difference. this would be orders of magnitude more reduction than all the stupid cap and trade, bird chooppers and alcohol schemes combined without the cost. Yet the environmentalist are radically opposed. Either they don't believe ACG is a problem or they literally don't care about the environment. If you think climate change is a problem... there you have it, advocate fixing it.